We witnessed the grand celebrations of the launch of twin restaurants – The Yellow Chilli and Stir Crazy at Viviana Mall, Thane. Chef Sanjeev Kapoor unveiled the two new restaurants along with Mr. Rohit Narang who conceptualized Stir Crazy. The Yellow Chilli chain was launched in 2011 and serves patrons with Indian Cuisine; Stir Crazy’s concept is inspired by cuisines from China, Japan, Malaysia, Thailand, Hong Kong, Korea, Singapore and Indonesia. Both the restaurants have a terrace which makes for a perfect hangout with family or friends in the forever-humid weather of Mumbai. Thumbs up for that! 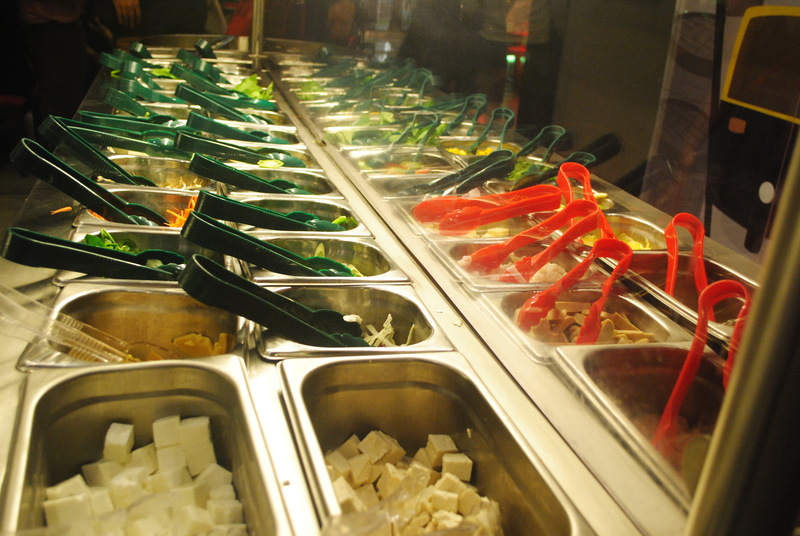 There is a ‘Market Place’ concept at both the restaurants which is like a stir fry offering. This market-like set-up had a variety of fresh ingredients (corn, onions, cabbage, noodles, capsicum, cabbage, chicken) in the offering. You select what you want to savour and hand them over to the specialized wok Chef who then creates your very own signature dish, right in front of your eyes. 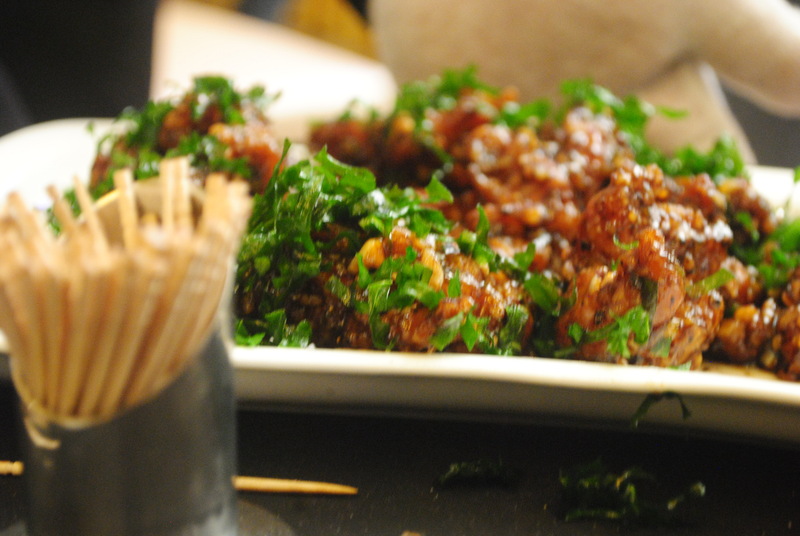 The experience is very similar to the one at All Stir Fry in Gordan House, Colaba. The whole experience where you pick and choose what exactly you want to eat, from the fresh ingredients in the offering was well appreciated by fellow-foodies. The ten minutes challenge thrown at the Chefs by Chef Sanjeev Kapoor brought the innovative ‘Puri & Sol Kadhi Shots’ as a welcome drink for the evening. 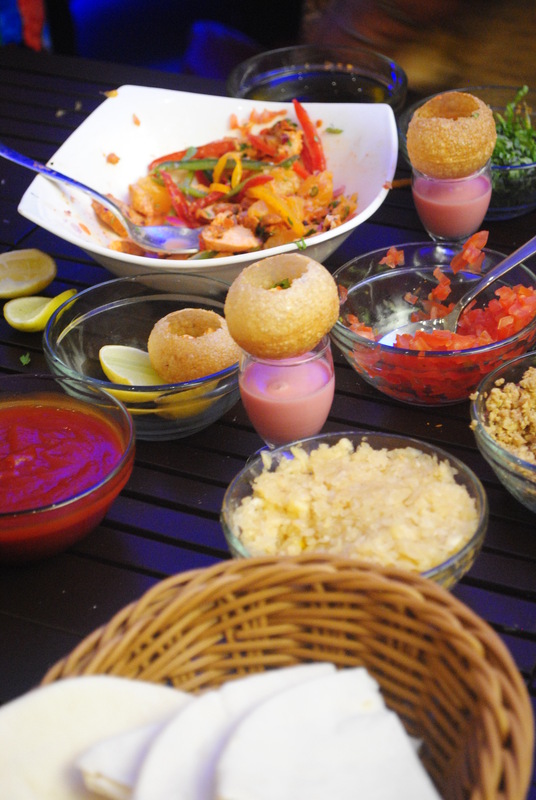 The crunchy puri was stuffed with Paneer tomatoes, onion with chaat masala sprinkled over it. The sol kadhi was perfectly made; it had the consistency of coconut milk and a refreshingly sour taste.​ Together they were like an unexplored-made-for-each-other combo. Ever imagined having sol kadhi with crispy puris? The vegetarian, poultry, meat and seafood starters were simply well balanced in taste and cooking. They were soft, crunchy, spicy, tangy, well cooked and well plated. 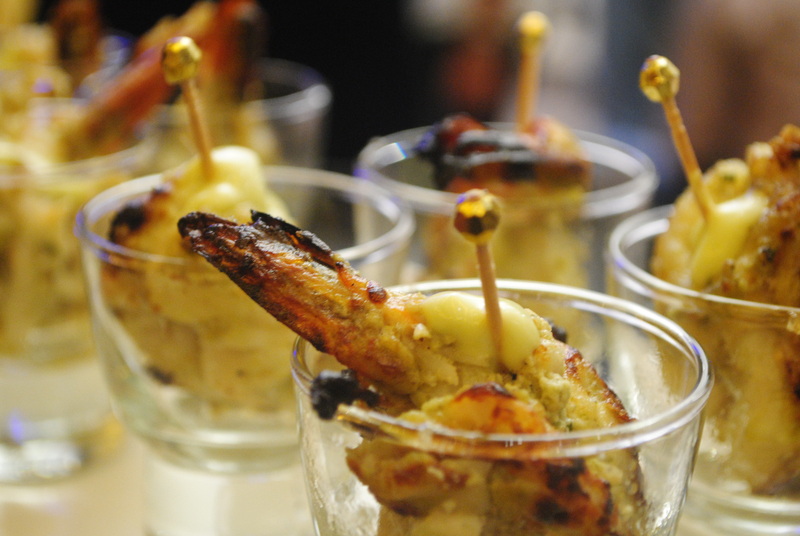 The Tandoori prawns and Chicken Satay were definitely the highlight amongst starters and are absolute must haves. In the main course, dressing of chopped spinach leaves over the chicken gravy was irresistible. The dark brown and green combination of the dish looked yummy but was a bit more on the peppery side. 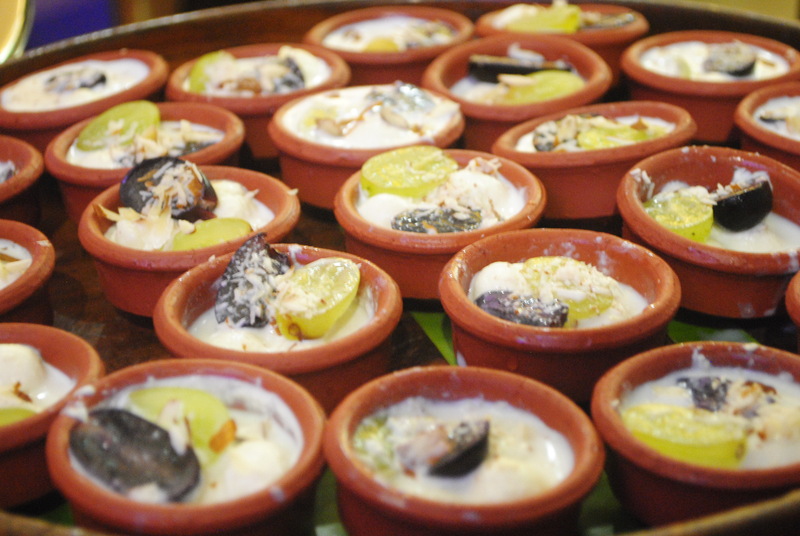 If you are a ‘Chicken Kalimeri’ type of person then this is ‘D’ dish you must hog! The Lazeej Makhani Tikkha Masala indeed went apt with its name. It was aromatic, buttery, and creamy yet a perfect blend of the spices that will take your taste buds on a trip. Just when you realize that you have gorged on too much of main course with rotis, Biryani counter will call at you. They are a perfect ensemble of fragrance and power-pact flavor. The best part of the Biryanis for us was that the veggies and chicken pieces were chopped finely, not too big, easy to bite in to and easy to savour. The staffs were very courteous and friendly. The warmth of the place was symbolized from their vibrant smiles. All in all, you are a foodie and want to treat yourself with a different dining experience? You want to take that well-deserved break with family over dinner? This epicurean journey is made just for you. ← Movie Review: Goliyon Ki Rasleela Ram-Leela – Don’t Go By Hearsay!